Traveling to Japan for the first time? There are two biggest concerns for visitors to Japan (and three for Filipinos). One, the uncertainties when in a foreign place. Two, the high cost of living. Three, the troublesome question of “Will I be granted a Visa?” (for Filipinos). 🙂 To alleviate fears and the budget barriers to fulfill that dream of visiting this beautiful country, I have outlined some guide and tips based on my personal experience. It may not be true to all and I fully understand that we have different needs, goals, and preferences so I still encourage you to do more research. ^_^ But I hope you will be more confident as you progress in planning your trip to Japan with me. Step 1: Determine your goals clearly. Before planning everything, you should know exactly why you are traveling. Be as specific as possible and everything follows. In this blog, I will cover tourism as purpose of travel. It is a lot easier when you know exactly what you want to do.You can determine the prefectures covered by your trip, the places you will stay, and the right kind of transportation system you will use. Eventually, this gives you an idea of the potential budget you need in order to accomplish your travel goals. Find your interests here. 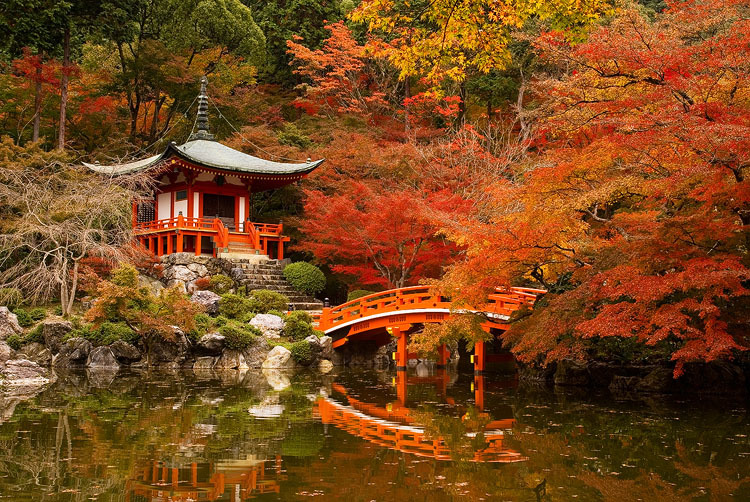 In my case, I’ve wanted to experience Autumn in Japan. In short, I will visit Japan as a tourist (Yes, “will”. I am still on the process of accomplishing my Autumn travel goal at the moment of writing) 🙂 So, I mapped my own Autumn Goal 2015 according to my interests for this particular trip. I checked when is the best week to visit in Autumn. I found out that it should be around October-November (it depends on location). What I want to see or do: a) Temples & Shrines, b) Theme Park, c) Life in Countryside,d) Visit a University, e) Wear Japanese Kimono, f) A glimpse of Mt. Fuji, g) Seaside Experience, h) Meet & Greet Hachiko, and i) Observe City Life. Step 2: Invest your time doing some research. Where can you possibly see or experience such things in Japan? You don’t actually have to go to the most expensive spots if you want to avoid paying so much yen. Paying a considerable amount on transportation is unavoidable but if you want to find ways to save somehow, at least do research well and plan early. Inevitably, you can possibly have a quality experience without sacrificing your hard-earned cash on unnecessary expenses. You can surely save a lot but let me reiterate, you have to spare some time in planning for your upcoming trip. Since I already have my goal in mind and know exactly what I want, it is easier for me to pinpoint where I can go. For Temples & Shrines [Kyoto]; Theme Park [Tokyo/Nagoya]; Visit a University [Tokyo/Nagoya]; Life in Countryside [Nagoya];Wear Japanese Kimono [Somewhere in Japan]; A glimpse of Mt. Fuji [Shizuoka]; Seaside Experience [Kawaguchiko Lake]; Meet & Greet Hachiko [Tokyo]; and Observe the City Life [Tokyo]. Therefore, I should only focus my trip on three major points (Kyoto, Nagoya, and Tokyo) and then reconsider other side trips I can have depending on the duration of my vacation and the travel time it requires to get to each place. Step 3: Check your social network. Do you know anyone in Japan? This is an important thing to consider since I have mentioned earlier that uncertainties in foreign place could be challenging especially if you are a first-time traveler who cannot speak or understand Japanese.Lucky you if you can at least speak and understand. But for some who don’t (just like me), using body language may not be enough. There are some places (especially in countryside) in Japan where language exchange might be a bit challenge. Also, if you know anyone in Japan it. I had opportunity to meet Japanese students several years ago. We frequently chatted in the first few months but then our lives got busier through the years and I changed my job so we gradually stopped chatting. As I was planning my trip, I remembered them one by one so I thought of reconnecting. Luckily, I got positive responses. I don’t have any plan of demanding time from them during my travel because I’m pretty sure they have jobs to attend to but this gave me great confidence that I can visit finally Japan even if I travel alone from my country. At least I have someone to call for help in case of emergency. They are also very helpful in giving suggested itineraries. If you cannot think of a single person you know who is living in Japan, do not be discouraged. 🙂 You can still visit Japan! Persuade someone to go with you. You can save money by splitting the travel and accommodation expenses. Step 4: Obtain a Passport. Any foreign visitor who wishes to enter Japan must have a passport, which will remain valid during the period of stay. Make sure you already obtain a passport through the Department of Foreign Affairs (DFA) nearest to you. I got my first passport from DFA Baguio in 2010 which will expire in November 2015. Since I’ve been planning for my Autumn trip, I already renewed my passport in August instead of November. Yes, do not wait for the expiry date. Take note: all passports MUST be valid for at least 6 months prior to expiration. In addition, DFA often delays release of passports these days due to some sort of technical issues they say. In fact, mine was delayed for almost a month. If I did not plan early and waited for the expiry date before my renewal, I might feel devastated for an invalid passport or for the late release of my new passport. Much worse result, for a cancelled flight in autumn. I never want any of these to happen to me and to you 🙂 So watch out! My friend got his flight cancelled due to the delayed release of his passport. As a result, he had to book another ticket and it costed him a lot. Step 5: Assess yourself for the visa requirements. Nationals of many countries are eligible to enter Japan without a visa. Unfortunately, this is not just the case for Filipinos and some other nationalities. Assuming you already have a passport, you may check your eligibility here for visa-free countries. Now that you are more confident about your decision to visit Japan, it’s time to check what kind of Visa is suitable for you. Depending on your purpose for this travel, determine the kind of visa you need. Find out more information through this link. I will focus more on getting a Tourist Visa in this blog. Doing a self-assessment can help you in making your travel itinerary as well as budgeting both your time and money. Do you have a stable job? Is it easy for you to take a time off from work? How many days will you be allowed? Are you a university student? Are your parents working? Who will pay for your trip? Do you have a guarantor? Can you travel independently? Can you walk a looooooot? Can you ride a bicycle? Do you prefer fast traveling time or are you willing to take slower trains? Can you wake up early to catch up with the earliest train? Do you want to do as many things as possible in a day? These are just a few questions to consider. It has been a dream to experience spring and autumn in other countries however, I was always held back by the word “Visa” since it requires additional documents (which I thought at first I could not provide) and sometimes personal appearance. But thanks to rigorous research and experience, I can prove that it is not really hard. Click here for The Budget Traveler Guide (Part 2): How to Increase Your Chance of Getting a Visa for Japan? Step 5: Be oriented. It is very important to familiarize yourself to the culture of your chosen destination. Know the norms, study the transportation system, memorize some Japanese common vocabularies and spoken words. This is better than knowing nothing at all. If you want to know the next steps on how I did it. Follow my blog/Subscribe for Part 2. I am really happy sharing this to you as they occur. ^_^ soon!